This week I've been hit with a big sense of nostalgia for starting university. Four years ago on the 21st September I moved away from home for the first time to Sheffield and started my degree. I think it's crazy (in a good way!) how four years ago I moved from a small village to a massive city, and had no idea how the next four years would pan out. This would be that moment in a film where something small happens and the person then has a massive flashback as to how their life has changed since that one moment haha. I think the nostalgia has hit this week as now working at the university, I've seen all the new freshers come in this week, and that along with seeing photos on timehop every day has made me really think about the last four years. You would have thought that this would have happened last year when it was the first September after I graduated, but I think that although I knew it was freshers week, because I wasn't at the university I didn't see it on a daily basis. Don't get me wrong, I don't want to go back to being a student and have to do it all over again, but seeing all the newly formed groups of people going round, joining societies and finding their favourite spots in Sheffield hit a soft spot. I was actually asked if I wanted to join a society the other day which was nice that they still think I look young enough to be a student! This September I've also had to say goodbye to many pals who have completed their masters and Tom's joined me in the world of work so I truly feel like I have left my student days behind me. 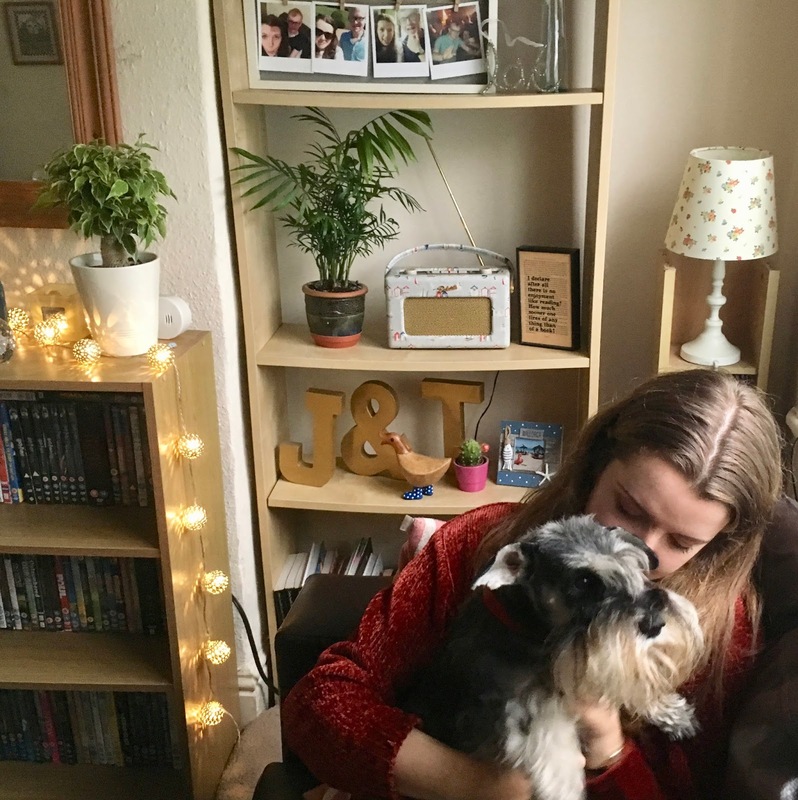 In four years I have lived in three different places; lived with 9 different people, had countless opportunities and gained a myriad of pals along the way, completed a degree, moved in with Tom and Tilly and now I'm working back where it all began. I guess the point of this post is to emphasise how a lot can change in a relatively short space of time and in ways you don't even realise it will. I had no idea on coming to university what my life would be like at the end of my degree and after - I doubt I would have thought that I would have continued to live in Sheffield after finishing my degree and I had no idea what I wanted to do career-wise as I chose to do English Literature purely because that was the subject that I enjoyed the most. To those of you currently at university; enjoy it. Enjoy the opportunity to find yourself away from your parents, enjoy the discounts, enjoy the lie ins, enjoy the deep drunken chats, enjoy the wealth of opportunities available to you. I wonder what life will be like four years on from today? Now I may be late onto the bullet journal bandwagon, but also I don't think a lot of people I know have a bullet journal, so maybe I'm not that late? Anyway, a while ago I decided to buy a new notebook with the intention of using it for planning out blog content etc. as I use google calendar at work, and a filofax for my personal appointments so didn't need one for those things. 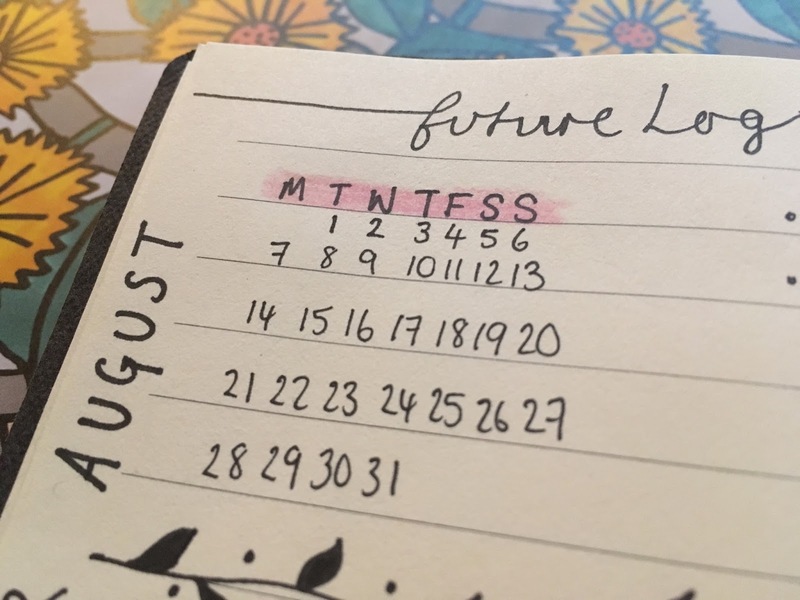 I'm not too sure how I found myself in the depths of bullet journal posts/videos but suddenly I was and I decided that I wanted to make my blogging notebook into a blogging bullet journal and this meant I could have another creative outlet where I could make tasks a bit more exciting and make them look nice. I've been using it for about a month now, so I thought I'd share with you how I've been using it, and to ask fellow bullet journal users if there's any pages they'd recommend I could include! 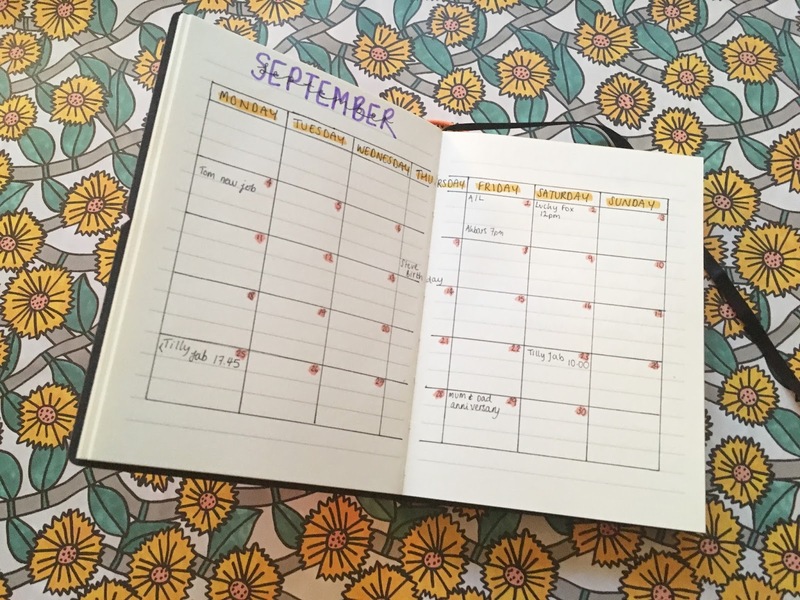 I'm going off the hope that you have some idea about what a bullet journal is, but basically it's a different system for keeping on top of tasks and managing a diary, but you make it as you go along rather than filling out a preset diary. 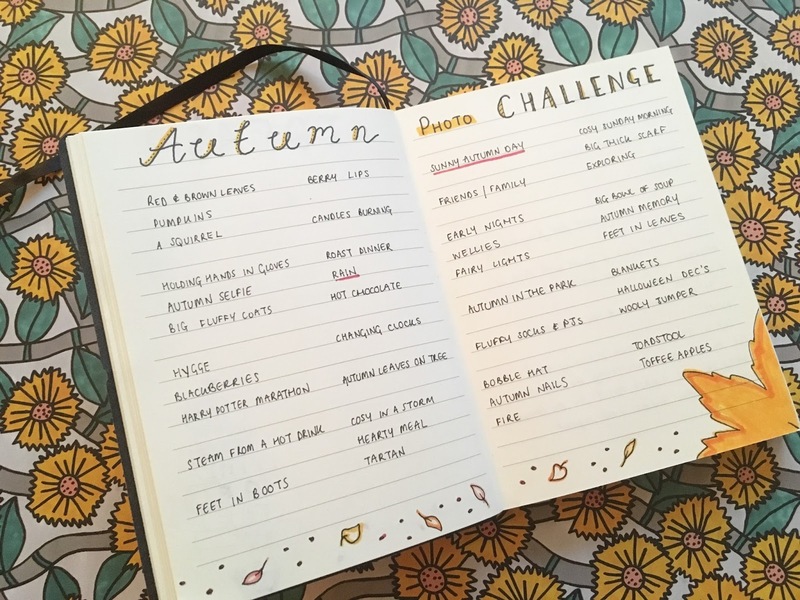 I really like the fluidity of having a bullet journal as you can have your standard pages, but then also include things like lists, or I've used mine for recipes, quizzes and keeping track of my #ourtwentysomethingautumn photo challenge from Gwennan! It was only after buying my notebook that I actually got into looking at bullet journal related content, and so mine's a little different as the pages are lined when in a regular bullet journal they're square or dotted - I can see how dotted would be helpful but equally I love the outside colour of my notebook and I've had no issues with using lined paper. What I would like that the standard bullet journal notebook has, is numbered pages. I cannot be bothered to go through and number every page myself, and I can see how helpful it would be to find different lists and things that aren't necessarily related to a month by finding the page number. 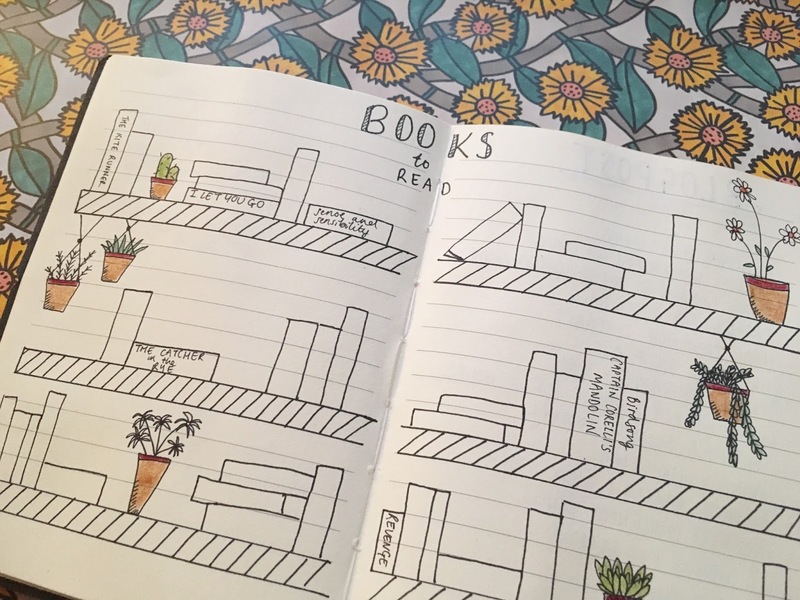 I've found having pages like the future log and birthday list near the front really helpful, and I've also included a books to read page where I've drawn out a bookcase and have written in some titles I want to read, and once I've read them I'll colour them in. As someone who did an English Literature degree, my motivation to read since graduating last year has seriously been lacking and I'm hoping this will push me into reading more. I also have a blogpost ideas page which is so helpful for when I have those moments of inspiration of posts that I might want to write in the future but that might not be relevant at the time (e.g. autumn related posts in the summer months). I've seen in videos that a lot of people seem to have different trackers, whether these be expenses, mood, habits...but I found this to be too demanding as I would need to remember to fill it in every day and I would always forget and then have to try and think back to certain days; I think it's great if you do want to keep track of something specific but for me I just found it too time consuming. 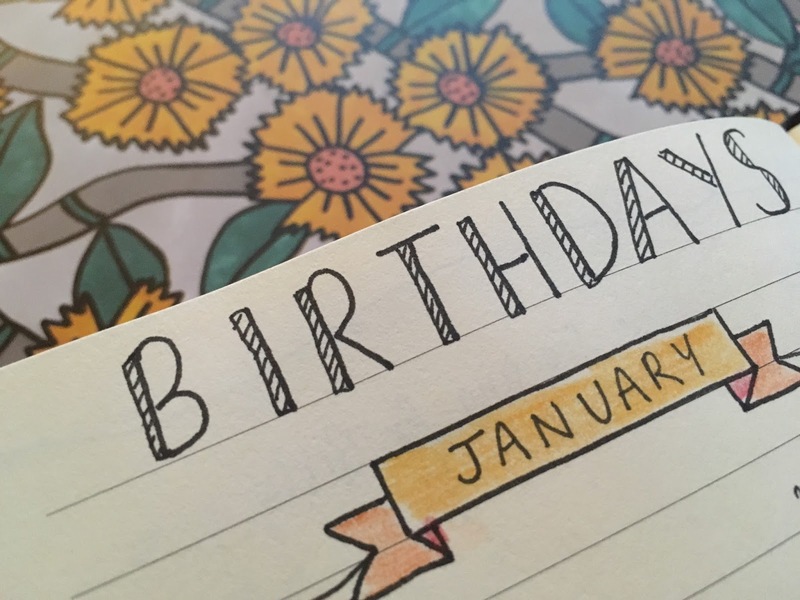 Despite using my filofax for personal appointments, I have actually found myself including them in a monthly spread as I like to see what I have coming up over the month, and it can't hurt to have a reminder in more than one place can it? 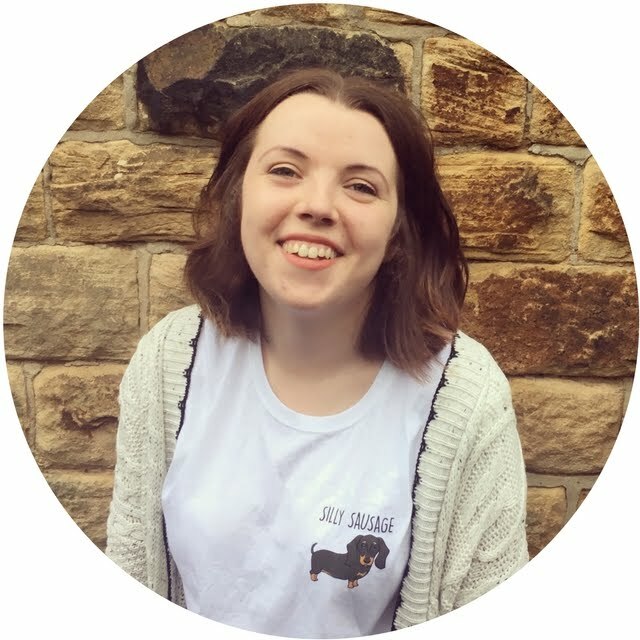 I'm still trying to find out what the best way is for me to lay out what I need to do for my blog post schedule, so if anyone has found a way that they'd like to share I'm all ears! I think at the moment I'm enjoying having different kinds of lists and things all in one place that I can make look nice and I'm enjoying doing something away from a screen you know? 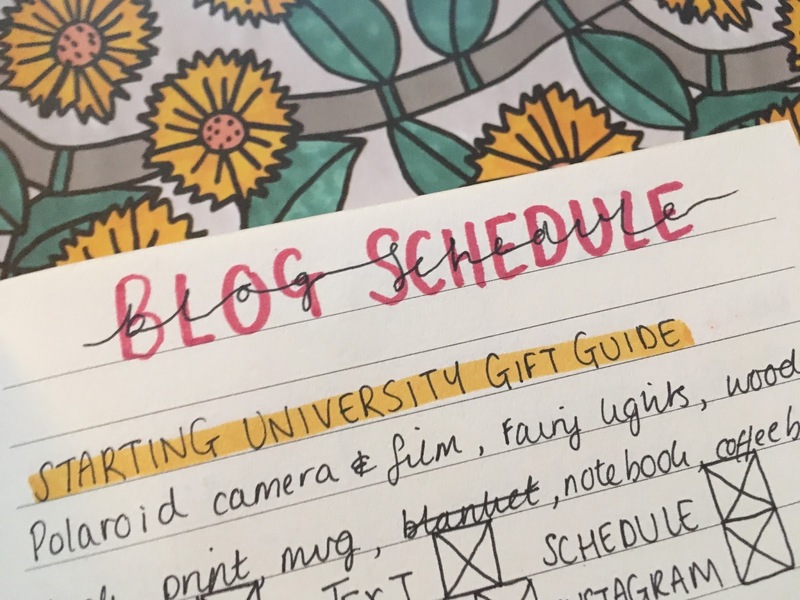 I'm still getting used to using a notebook in this way and finding out what pages work well for me and which don't - if you have any blogposts on how you use a bullet journal please leave your links below; I'd love to have a nosey! I had started this post out as a cuppa catch up post, but I don't know what it was, but there was something about the type of post that I wasn't enjoying and as this is my hobby I should be enjoying it you know? I like looking back and seeing what I've been up to, but the format of the cuppa catch up just wasn't working for me. So that being said, I'm going to try and start doing a 'month in photos' post as it's a nice visual way for you (and me!) to be able to view the month in a quick and easy way. Let me know what you thought about this format for a monthly round up; but writing it I've enjoyed it a lot more as it's more of a snapshot of the month rather than an giving an overload of detail! If you have a monthly round up in photos, or just a favourite photo of the month, I would love to see it and the short description behind it! Link me @jesslouisekeen. A few weeks ago in the UK it was A-Level Results day. I can remember my results day like it was yesterday, but it also seems like a lifetime ago at the same time. I cannot believe that four years ago I found out that I was going to university and I made a big trip with my parents to The Range to buy all the supplies I would need for moving away. 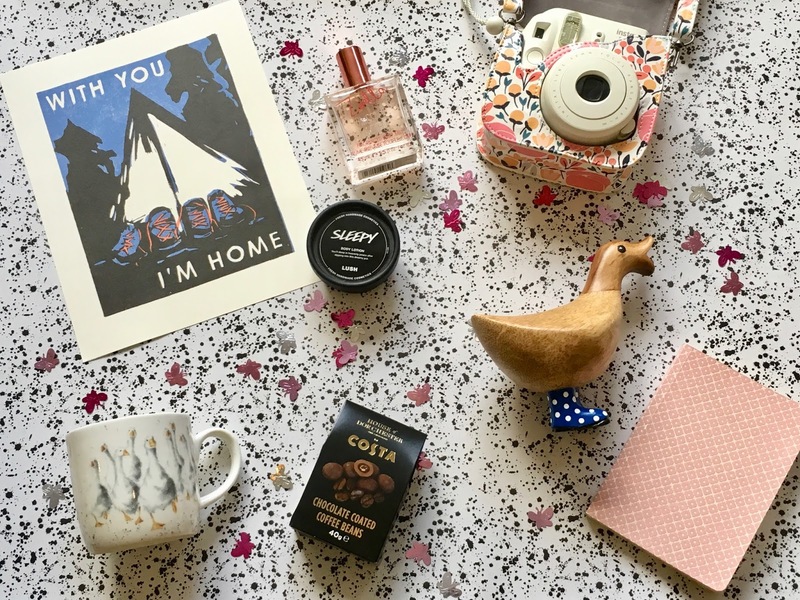 I have a more detailed list of the basics such as pots and pans; but today's post is around gifts that are not an essential, but would make a lovely gift for someone going off to university and I've found gifts for all budgets. Right; lets get into the selection shall we? If you've been a reader for a while, you'll remember that a big part of how I made my room at university homely was to have photos and artwork on my wall. 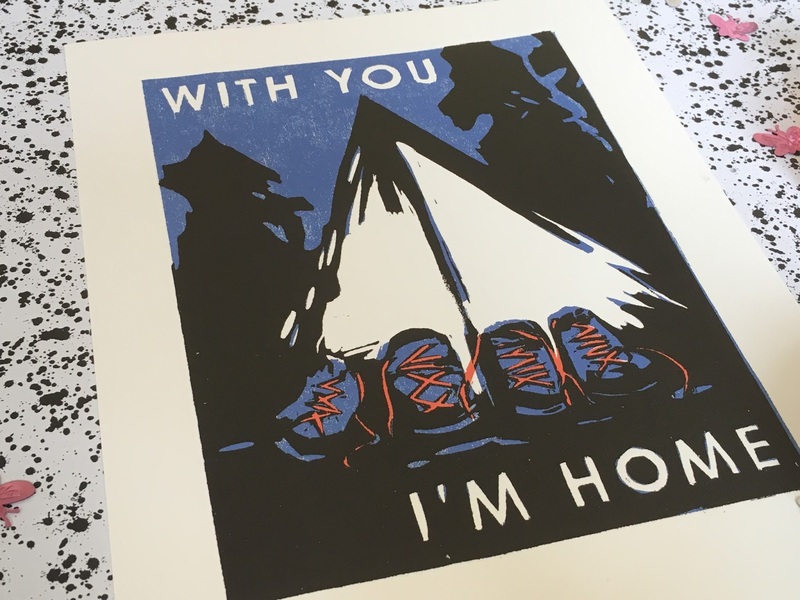 Although this print from UncommonGoods* is targeted as a gift for an anniversary; I thought it would be a great gift for someone going off to university as for the majority of people it means moving away from home. I thought this would be a lovely reminder for someone that their family are only a call away if they start to feel homesick. 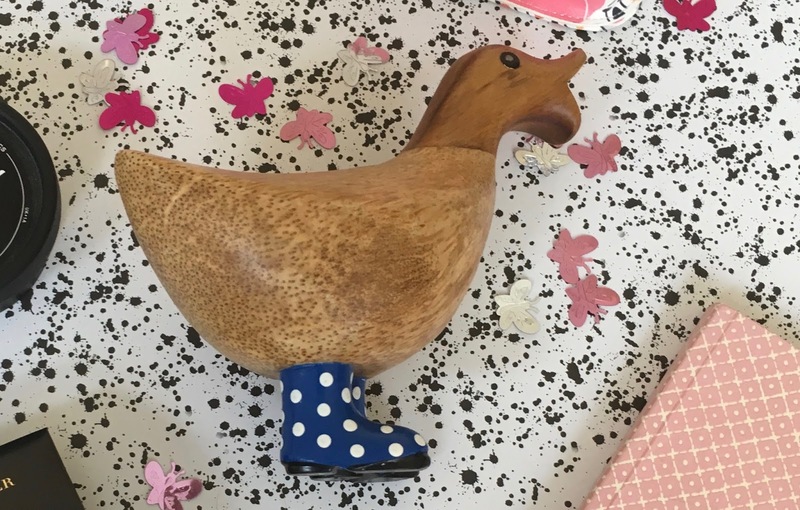 Whilst searching the site I also found this wooden duck with spotted wellies - how adorable is it? - and I thought that this wouldn't be something that the person going to university would buy themselves, but that actually it would make a good decoration and make their room in Halls that bit different. 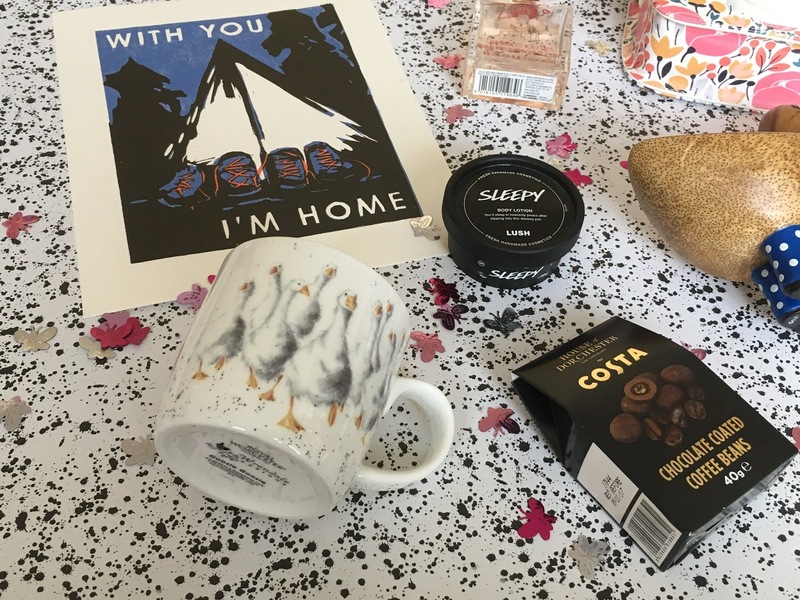 If you want to go that bit further UncommonGoods do a range of gifts that you can personalise and also have a selection of gifts for individuals graduating if you know someone at the other end of the spectrum of their degree. I really like that as a company they pride themselves on creating a positive impact in the workplace in order to create a positive impact outside the workplace; you know that you're buying a gift from some good eggs in the world. They have also created the Better to Give program which means that at the checkout you are able to select a non-profit organisation that UncommonGoods will donate $1 to - currently they have donated over $1,000,000 since starting the scheme in 2001 - so you will be able to do some good in the world too! I bought myself a Fujifilm Instax Mini 8 last year and it's taken me a while to get used to which settings I need in which lighting - I have a few examples of where I tried to take some photos outside on the trip Tom and I took to London back in March that are waaaaay over exposed and too bright - but I've finally managed to get the hang of it and I think this would have been great to have had from the start of my degree. If you know someone who already has one of these cameras, another gift could be a bag to carry it in - I used to just put mine in my bag but as it's white it got dirty really easily - and I bought this b-e-u-tiful bag from amazon and it's so handy as it also has a pocket at the back where you can put your photos whilst you're out snapping. Depending on your budget an alternative could be to buy some film for the camera to ensure that they have a supply ready for freshers week! A perfume or body spray would go down well and is one of those items that I found you only thought about once you'd moved away and realised you hadn't brought your supply from home. 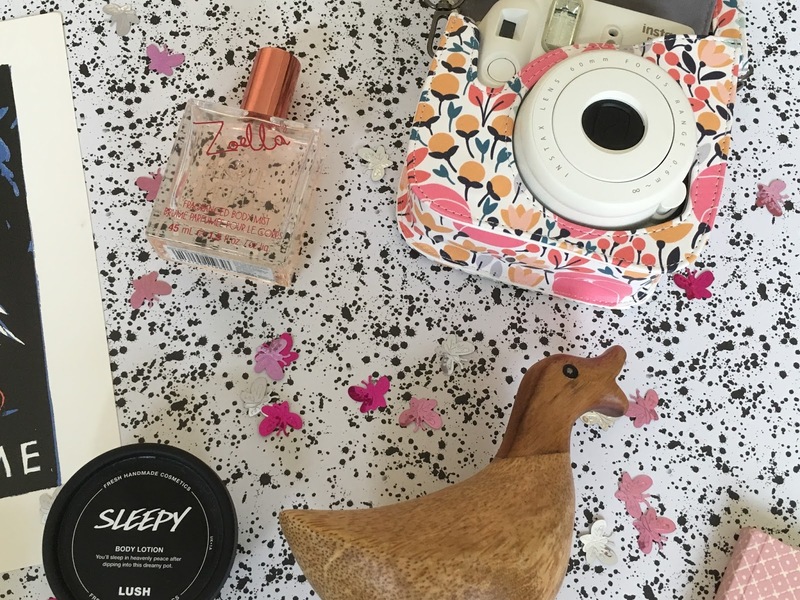 The Zoella Blissful Mistful is a good high street option to go for as it's nicer than the body sprays you used to overuse as a thirteen year old, but without the price tag of a perfume - obviously you can go for whichever scent/brand you like and you can tailor it to any budget. Another product that I found you only realised you needed once you discovered you didn't have one, is handcream/body moisturiser. I got this pot of Sleepy body lotion from Lush as a part of a gift set, and it was limited edition but I've recently seen that it's now available in the smaller size that I have, or in a whopping big pot! I've seen that people say that this has been helping them get to sleep, and to be fair it might have helped me but I'm someone who has no trouble falling asleep so I can't vouch for how good it is for those who struggle to drift off. That being said, it's a wonderfully nourishing cream with a sweet and subtle lavender scent and as it's from Lush you know that it's been freshly made and will be a lovely treat for the recipient. Now everyone going to university will need a notebook and for lectures/seminars the only paper I would use were the Oxford Campus notebooks as the paper is suuuper soft and anything else felt like sandpaper in comparison; but a small notebook would be handy to keep on top of to-do lists or I always valued having an academic diary that I could take into uni to keep track of deadlines. 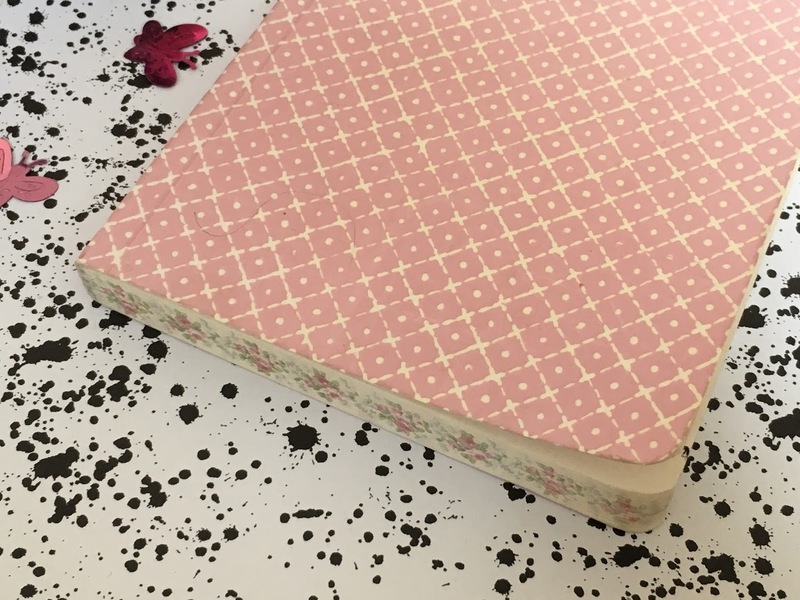 For pretty notebooks the first place I'd check out would be paperchase as they have so many to choose from, or you'd be surprised how nice the stationary in supermarkets is now! Buy a mug. Everyone needs a mug. I find it's nicer to have a drink out of a mug that's pretty or that's a gift rather than one of those you've picked up for free, and somehow the drink tastes better too? Now Tom and I are in no way short in supply of mugs but when I saw this mug I had to get it as it has an illustration from Wrendale designs which is a design company that I have been in love with for years, and actually in terms of shape and thickness of china, it's such a good mug to have your morning cup of coffee from. If you're looking for a large mug I would always go for one from Cath Kidston and they always have loads of designs you can choose from. The final gift in this guide is a bit random, but if you're a lover of coffee then you need to try the chocolate covered coffee beans from Costa. In a previous job one of my colleagues brought these in one day and they're perfect for when you're lagging a bit in the afternoon and need a pick me up but don't necessarily want to drink a whole coffee. I think these would be perfect (in moderation guys) to get through those stints in the library or that 9am lecture after a late night. Woweee that was longer than I expected it to be! Now obviously these gifts could be given to anyone but I thought it would be nice to use my own experience of starting university four years ago (cry cry) as to what would have been a good gift to receive. I hope this has inspired you if you are in need of a gift for someone starting university - or if you're in need of gift ideas in general! *This post is sponsored by UncommonGoods. All opinions and words are 100% honest and my own. No affiliate links have been used. For more information please see my disclaimer.